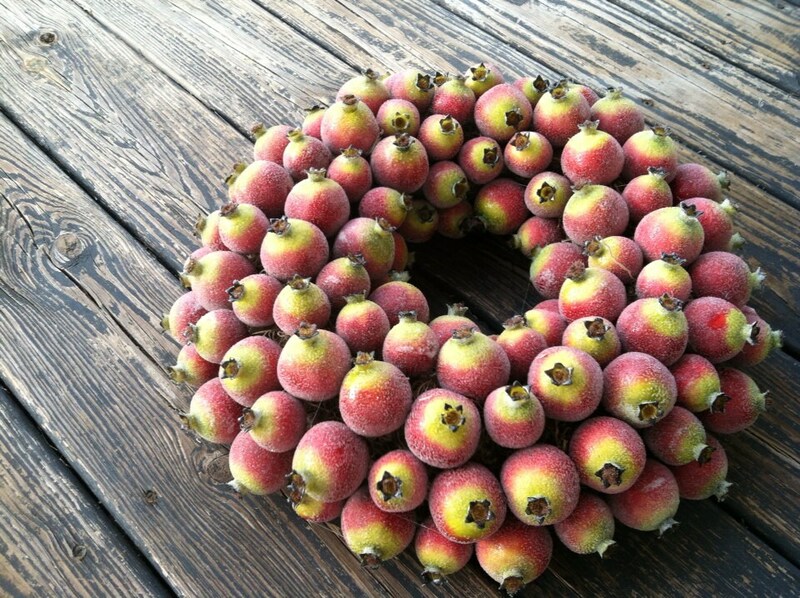 What a elegant statement you will make displaying this beautiful, one of a kind sugared pomegranate wreath in your home. The colors are phenomenal. 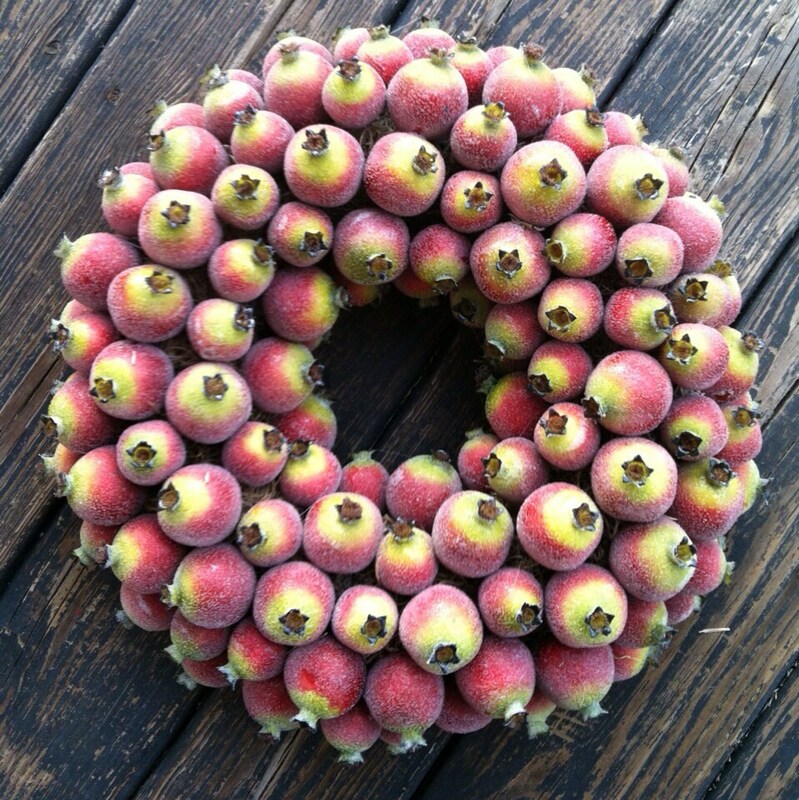 Red and burgundy pomegranates with a splash of apple green and yellow are stunning. Each piece of artificial fruit is hand "sugared" with glass microbeads. 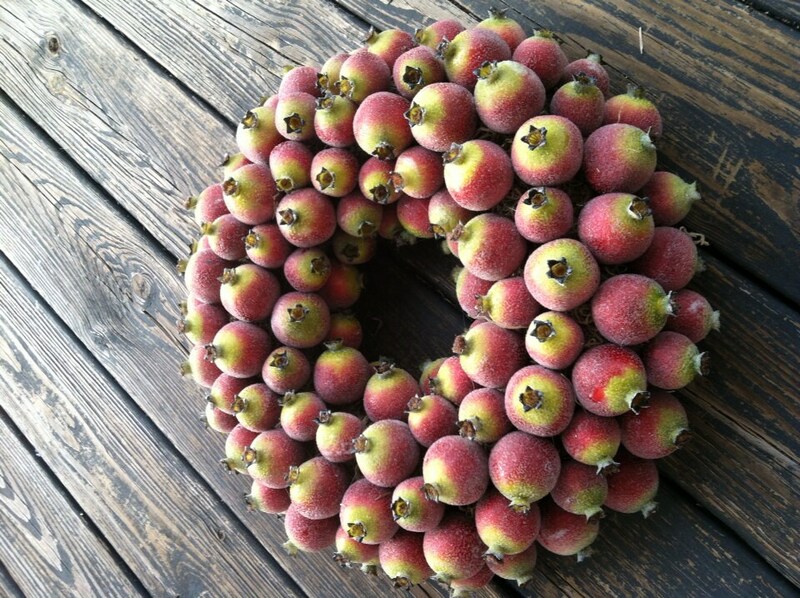 The end result is a stunning one of a kind wreath. With some creative lighting this wreath will sparkle and shimmer, winning you countless compliments. This would be a beautiful piece to spruce up a mantle or you could lay it on a table and place a chunky candle in the center. 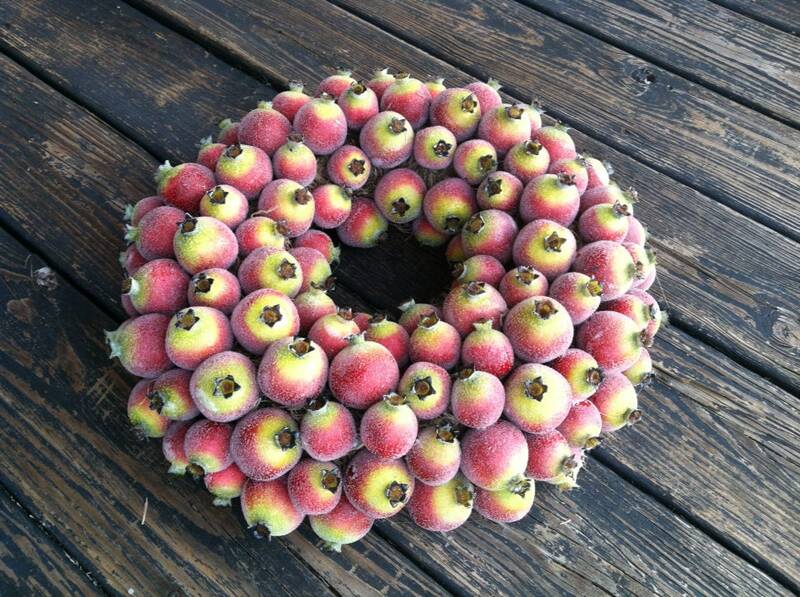 The wreath measures approximately 16 inches in diameter and was created on a styrofoam core wrapped in moss. It should be displayed indoors or in a covered area out of the elements and weather.